﻿ Hanwha Resort Seorak, Sokcho-si | FROM $867 - SAVE ON AGODA! Have a question for Hanwha Resort Seorak? 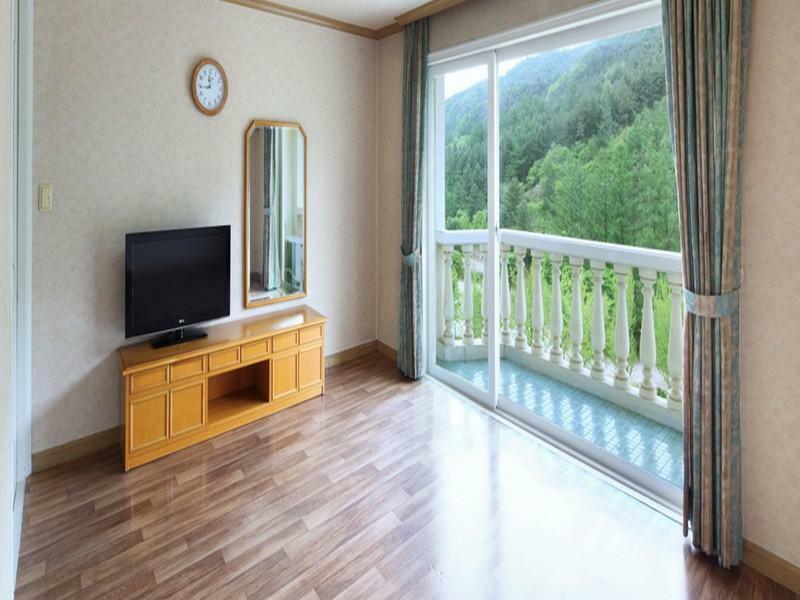 For travelers who want to take in the sights and sounds of Sokcho-si, Hanwha Resort Seorak is the perfect choice. From here, guests can enjoy easy access to all that the lively city has to offer. With its convenient location, the hotel offers easy access to the city's must-see destinations. Offering hotel guests superior services and a broad range of amenities, Hanwha Resort Seorak is committed to ensuring that your stay is as comfortable as possible. Guests of the hotel can enjoy on-site features like free Wi-Fi in all rooms, 24-hour front desk, luggage storage, car park, family room. Hanwha Resort Seorak is home to 796 bedrooms. All are tastefully furnished and many even provide such comforts as air conditioning, balcony/terrace, telephone, television, kitchenette. Besides, the hotel's host of recreational offerings ensures you have plenty to do during your stay. When you are looking for comfortable and convenient accommodations in Sokcho-si, make Hanwha Resort Seorak your home away from home.